Join us on October 26, 2017 from 6-8 PM at the LaQuinta Inn & Suites! 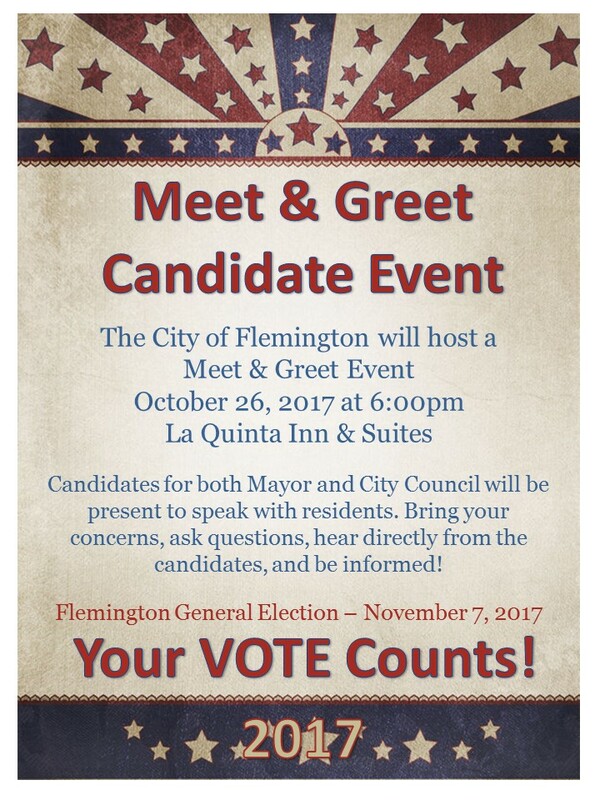 The City of Flemington will host a Candidate Meet & Greet. Candidates for both Mayor and City Council will be in attendance to meet with residents. Bring your concerns, ask questions, hear directly from the candidates, and be informed!!! The Flemington General Election will be held on November 7, 2017 from 7 AM – 7 PM at Flemington City Hall.